Being able to love oneself, imperfections and all is one of the best traits an individual can have. But how many of us are comfortable in our own skin? The irony is that in spite of individuality being encouraged so much nowadays, we are still trying to desperately fit into moulds that are just not made for us. In the end we often like the idea of how we want to be, rather than who we are. 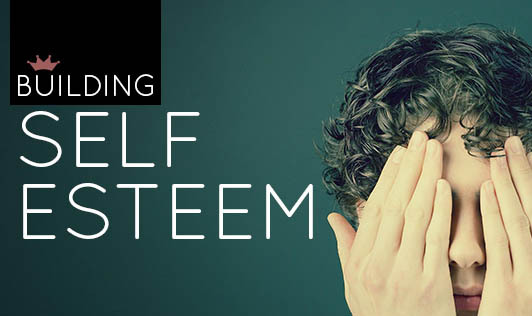 Having a negative image of oneself can seriously affect self-esteem. If not dealt with in the early stages, low self-esteem can lead to serious problems such as anxiety, fear, and depression. Low self-esteem is usually the result of negative experiences that can cause an individual to doubt his/her self-worth. Experiences play a major role in deciding one’s self-esteem. And all successes and failures in life are built on the foundation of self-worth. But this doesn’t mean that people with self-confidence never experience failures. Self-confident individuals treat failure as a valuable life lesson instead of letting it consume them. They focus on the moral rather than the story. An individual with a positive attitude will have higher self-confidence and this will reflect onto the work they do and the challenges they take up. Similarly, a person with very low self-worth will constant be unsure of themselves, and will never think of themselves to be good enough to achieve anything extraordinary, often not recognizing the their own achievements . Even minor tasks can faze them and they will hate taking up responsibilities. Self-esteem is built by growing from life’s experiences, even if they are painful or traumatizing. Negative experiences are better teachers. They make us wiser, help us gain better understanding, and prepare us for the future. We can learn from our experiences without judging or victimizing ourselves, by treating them as lessons that can help us do better in the future. Viewing negative experiences and unfavorable changes in a positive light can make them seem less terrifying and this can drastically improve self-esteem. But this change does not happen in a short time frame. It takes a lot of time. Hard work and practice is the only way an individual can get there. Practice until a positive attitude becomes a habit and eventually a way of life. Remember to get up and try again, even if you fall a hundred times. Strive to do better the next time. A positive attitude is food for self-confidence and building confidence is the best way to increase self-esteem.